As Halloween creeps closer by, we’re all thinking the same thing – where are we going to spend it? Sure, trick-or-treating in your neighborhood is fun if you’ve got kids. Or maybe you could build a haunted house, or visit one nearby? Of course, staying home isn’t the only option – you could always travel somewhere! And you don’t have to go far for some scary fun – there are plenty in the US itself. With that in mind, here are the top places to celebrate Halloween across the US! Trick-or-treating is all well and good – but what about traveling for Halloween? During most holidays, people want to wind down and relax. And really, it’s understandable – you only get so many free days a year. However, Halloween is different. During this holiday, everyone is full of energy and creativity. And if you truly want to respect this high-voltage holiday spirit – New Orleans is definitely one of the greatest places to celebrate Halloween across the US! You see, New Orleans takes their holidays quite seriously – no matter what the holiday is, you can bet they will ramp it up to eleven! And that’s what makes it a perfect place for celebrating Halloween! For example, you could participate in the annual VoodooFest – which is creepy enough even without Halloween. There, you can hear local Voodoo priests talk about their haunting practices. And you’ll also find plenty of voodoo dolls to buy, as well as strange oils and magic potions. The closing of the festival is also quite interesting, with a mass ancient healing ritual. New Orleans is really one of the best places to celebrate Halloween across the US. One of the best things about the holidays is the practically unrelated events putting on a holiday theme. And Halloween in New Orleans is no different! On the morning of October 20th, there’s a massive zombie-themed race across town! Needless to say, all participants are fully masked as flesh-eating undead zombies. Such fun stuff will definitely make you want to search for New Orleans long distance movers. And once you’re there – can you escape the zombies? Or perhaps – be one of them. 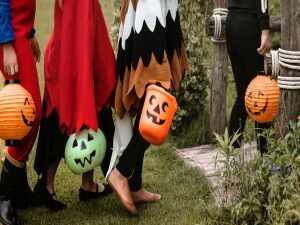 Massachusetts is one of the top places to celebrate Halloween across the US. Of course, New Orleans isn’t the only place that takes its spooky Halloween fun seriously. In fact, let’s think about something for a moment – what is the scariest place in the entire United States? What’s synonymous with spooky? Why, of course – the Witches of Salem! That’s why you may want to put Massachusetts on your list of the greatest places to celebrate Halloween across the US. Imagine, spending the ghouliest holiday on the planet in the town where actual witch burning occurred! It’s an incredible feeling, and the people of Salem know this well. Which is why they’ve got plenty of annual Halloween events and sightseeing opportunities for you to visit. Do you want to see the creepy poppets – small, faceless dolls of Salem, which have powers similar to those of Voodoo dolls? Or maybe visit the infamous Witch House of Salem, which actually dates back to the 17th century? Massachusetts has plenty of haunted houses for Halloween fun! Of course, Salem is not the only place in Massachusetts that’s home to great Halloween events. For example, there’s the nighttime Ghosts and Gravestones tour. With a guide, you can visit some of Boston’s spookiest sights! And the best part is – it’s not held only for Halloween, so you can visit it all year round. After this, you’ll wish for long distance moving companies Massachusetts. And if you’re more of a party person, Boston can accommodate you for Halloween as well! There’s the awesome Halloween On The Harbor party crawl! If you pay a few bucks for the ticket, you’ll get a ride to every Halloween party on the Boston waterfront! You’ll see – it’s just one of the many awesome events that make Massachusetts one of the top places to celebrate Halloween across the US. So get suited up in your costume, and prepare yourself for some scary good fun! Halloween in Savannah – ancient and scary! Let’s face it – if you love scary events for Halloween, your best bet is spending it in a place that’s really scary in actuality. So, let’s change course for one of the most ancient and haunted towns in all of America – Savannah, Georgia! Trust us – if you love scary places, you’ll be browsing long distance moving companies Savannah in no time after this Halloween. There are plenty of ghoulish events in this real-life haunted place, believe us. If you want to do something nice while having spooky fun, you can visit the Terror Plantation. We’re talking about one of the most famous and best-haunted houses in all of Savannah – and some of their proceeds go to charity. 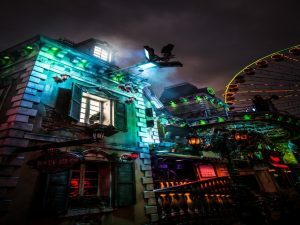 Also, in the past few years, the owners have been hard at work adding new scary rooms and events – so you can be sure you’re in for an awesome time. Trust us – the Witch’s Lair at the Terror Plantation is just as good as it sounds. And if you’re more inclined to outdoor events – you could always visit the Skidaway Island State Park. Except, it’s not known as such during Halloween. At this time of year, it transforms into the Misery Woods Haunted Forest. Yeah, can you imagine it – an actual haunted forest! Make sure you tread carefully – there are plenty of ghosts and ghouls lurking in the darkness of Misery Woods. 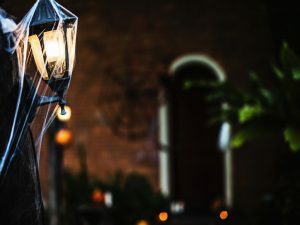 So if you’re looking for awesome places to celebrate Halloween across the US – Savannah definitely earns a good score on that list.